As an experienced dive instructor, I’ve had the privilege of diving in the most awe-inspiring underworld locations in Southern Africa. However, I had never been to the one special space on our doorstep that offers a dive experience like none other. 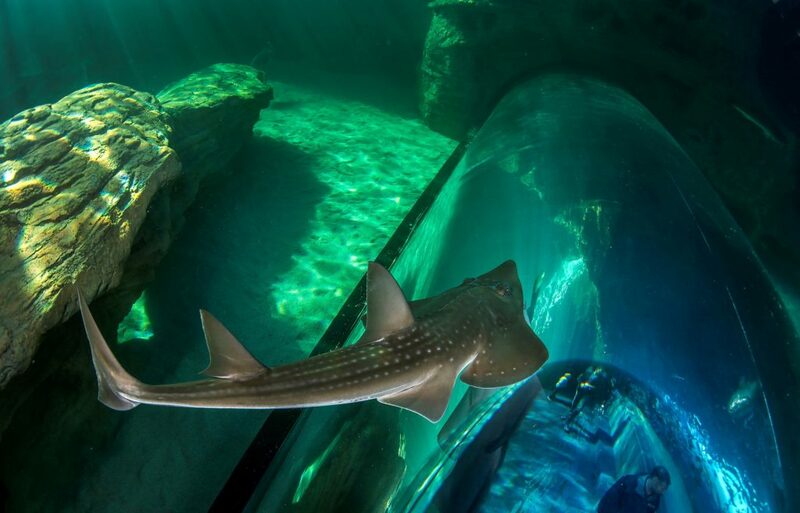 Scuba diving at the Two Oceans Aquarium in Cape Town is definitely worthy of being included on everyone’s bucket list. This was my experience. By Lisa Leathes. When I was invited to experience this unusual dive, I couldn’t wait to take the plunge and was filled with eager anticipation to meet the legendary Divemaster Iain Robertson. This jovial and enigmatic gentleman has been the resident scuba diving instructor at the Aquarium for over 20 years. He also doubles as their annual Father Christmas too! (not surprising). Iain is only one of five South Africans to be recognised by PADI for his long and outstanding PADI professional membership of 25 years. 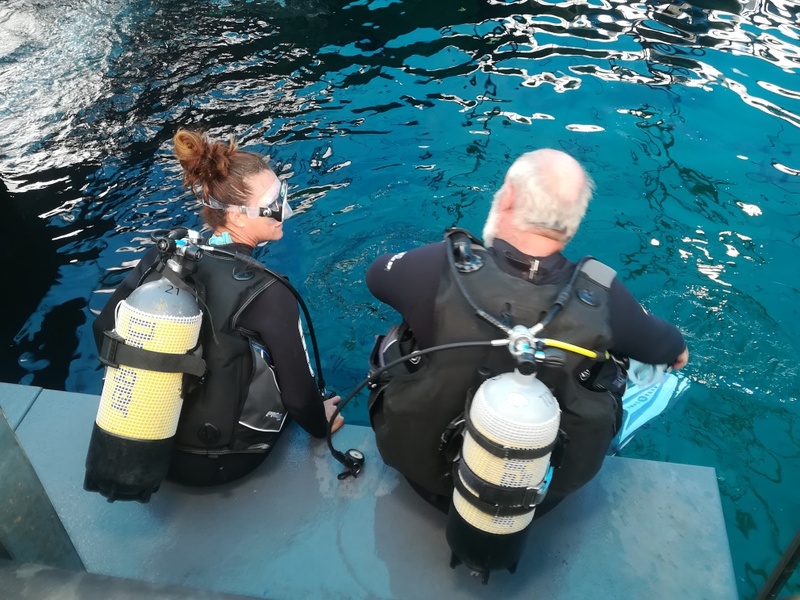 I was humbled to be sharing my first dive experience in a long time with someone who has had such an illustrious diving career. After gearing up top to toe, Iain and I descended into the 6m deep underwater world, home to sting-rays, giant guitarfish, brindle bass, and spotted grunter. The water was a welcoming 20 degrees Celsius and the visibility faultless. My busy world descended into blissful silence. My only accompaniment was my own methodical and mechanical breathing. I was welcomed by a friendly brush from a guitarfish. And it wasn’t long before a stingray glided overhead. Looking out from within I noticed all the curious onlookers who were surprised at our mortal presence, a rather incongruent sight to behold entering the home created for sea creatures. I saw my colleague behind her camera, capturing my aquatic dance against a backdrop of colour, bubbles and companionable marine life. I was mesmerized. 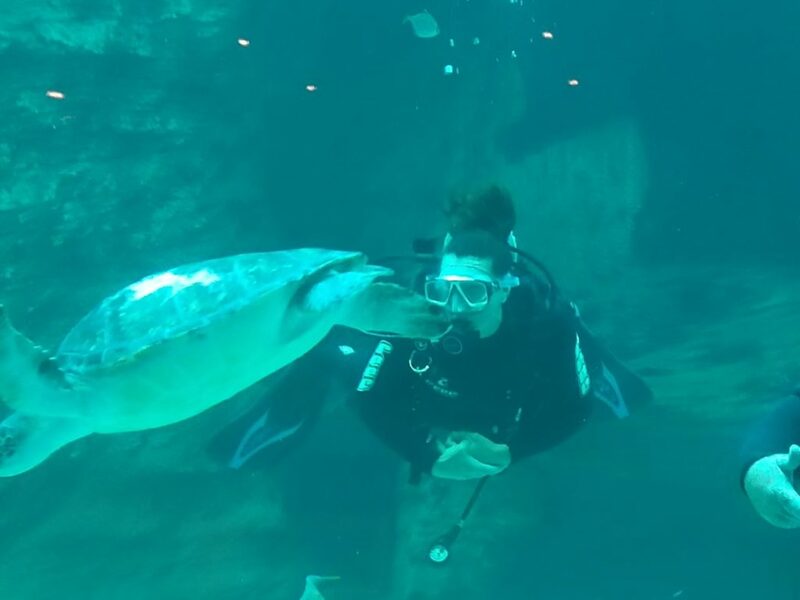 It felt so different to be so close and personal with these remarkable marine creatures. We were greeted by another two legends. This time reptiles. These are the famous green turtles, Sandy and Bob, both of whom have a sad story to tell. 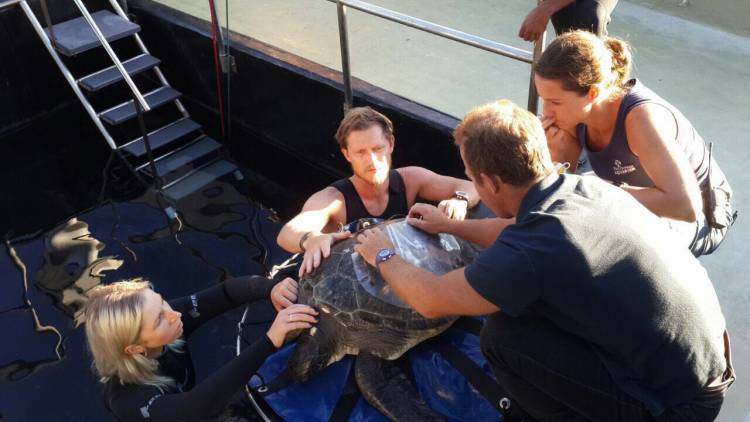 Bob was brought to the Aquarium in November 2014 for rehabilitation. He had severe bruising and a possible fracture of the bottom shell (or plastron), with loss of scales and exposed bone. The plastron was also positively buoyant (or floating), a condition which can occur owing to several reasons. The fracture was treated, but he developed an infection and Bob’s condition suddenly deteriorated. The turtle was starting to show severe abnormal neurological signs and having difficulty breathing. Then on 6 January, Bob excreted a whole pile of plastic. This included pieces of balloons, some still attached to their string and several other large bits of plastic. Turtles often mistake floating plastic for food. Marine debris from discarded plastics is building up in our oceans and poses a significant threat to turtles and other wildlife. 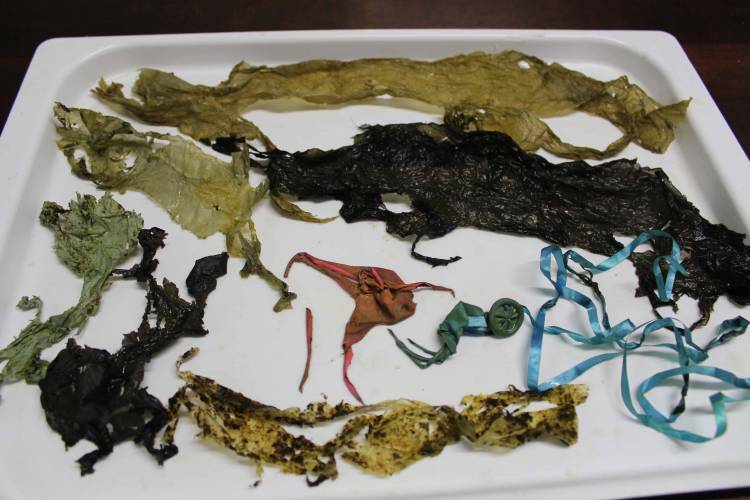 Ingested plastic causes bowel obstructions and has caused fatalities in whales, birds, and turtles while many other marine animals are at risk. Miraculously Bob has healed so well that you can hardly see where the fracture site was, and his eyesight is also gradually returning. Incredibly the turtle now feeds by itself and weighs a wonderful 18.8kg. And then came Sandy. 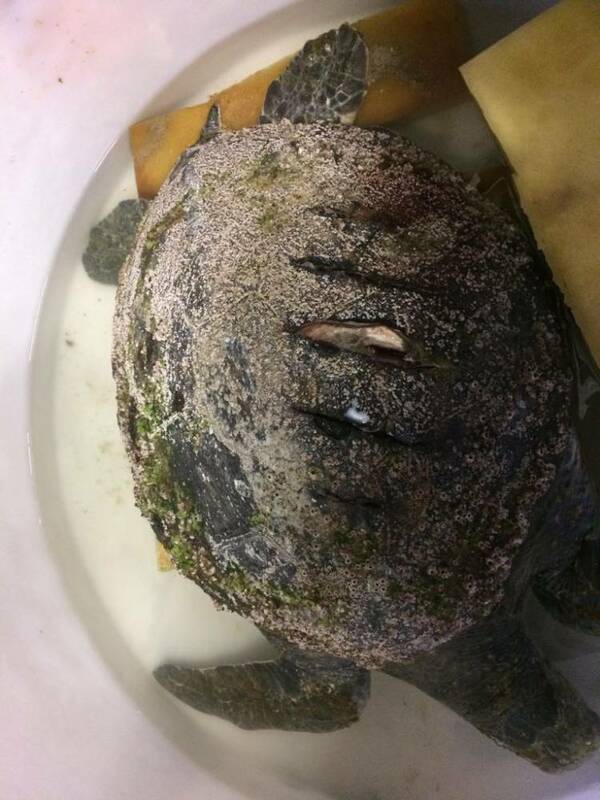 She was rescued by the conservator of the Lower Breede River Conservancy Trust near Witsand, who found her in a terrible condition with some very painful-looking gashes on her carapace (shell). The guess is that she was struck by boat propellers. 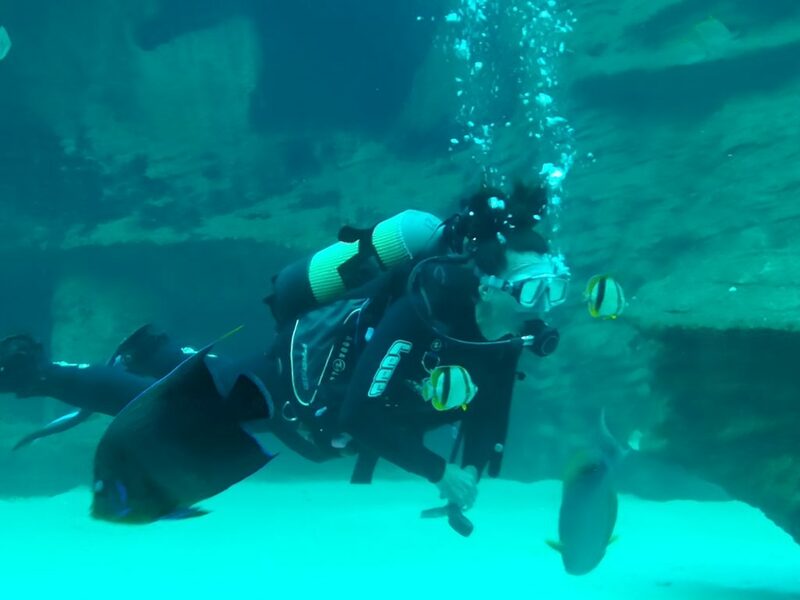 She has made a remarkable recovery against the odds, and now that she is out of quarantine and in the more-spacious and natural environment of the I&J Ocean Exhibit, the hope is that she will quickly build her strength and enjoy a speedier recovery. I managed to give Sandy a gentle shell rub as she passed me by. And with that, I was filled with such admiration for the incredible work the Aquarium does. It’s because of their work that both Sandy and Bob’s tragic stories will, fortunately, have a happy ending. I’m not sure whether many of us know that the Two Oceans Aquarium is a primary care center for turtles in need. As the winter months approach, the incidence of turtle strandings increases with juvenile turtles (mainly loggerheads) getting swept down from the northern coast of KwaZulu-Natal (where they hatch) in the mighty Agulhas Current and washed ashore by stormy seas. 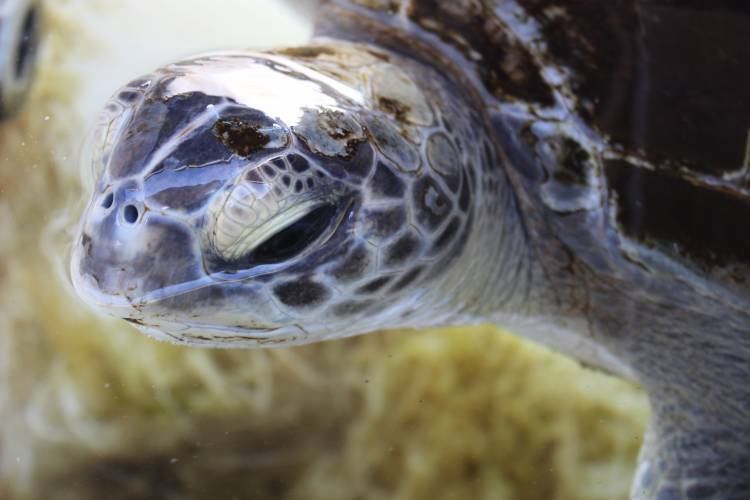 The Aquarium has built up a turtle team who carefully rehabilitate and nurture hundreds of rescued turtles, big and small until they are in good enough condition to be released again. This is super-specialist care and very time intensive, but the rewards are immense. If you would like to support their work, please consider donating online. 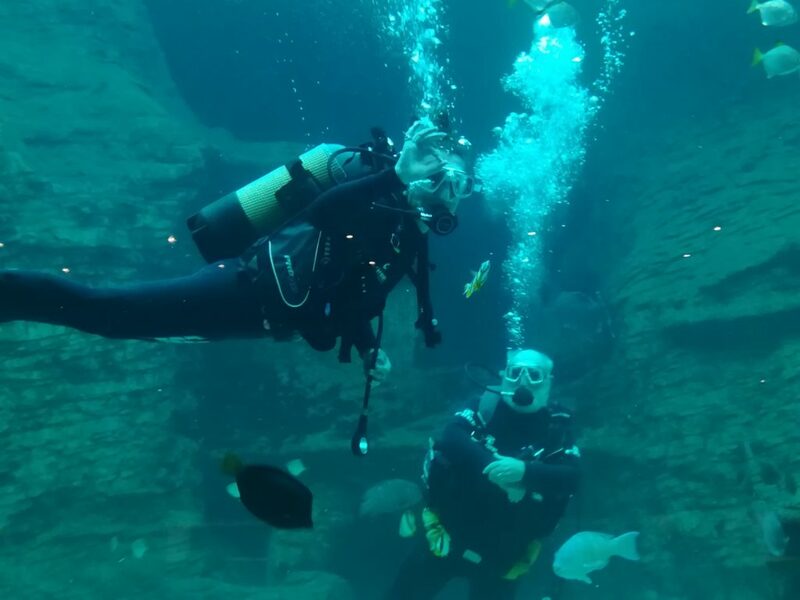 you are able to do a one-day Discover Scuba course with their on-site Divemaster, Iain, who has a dedicated training pool at the Aquarium. This allows you to do one dive in the I&J Ocean Exhibit on the same day. To book (021) 418 3823 or email dive@aquarium.co.za to inquire about this option. This awesome opportunity is on your doorstep. You simply just need to take the plunge. In line with recognised diving practice, dives may not occur if divers are to fly less than 12 hours after the dive time. For safety reasons, the diver must be at least 12 years old to dive at the Two Oceans Aquarium. Divers between 12 and 15 may only dive if they are accompanied by a parent/guardian who is also a qualified diver. For the love of all things water – Lisa is the founder of Amanzi Mag. She is also the Creative Director, Integrated Marketing Specialist and Media Strategist for Creative Imagineering a boutique Digital Marketing Agency, based in Hout Bay. 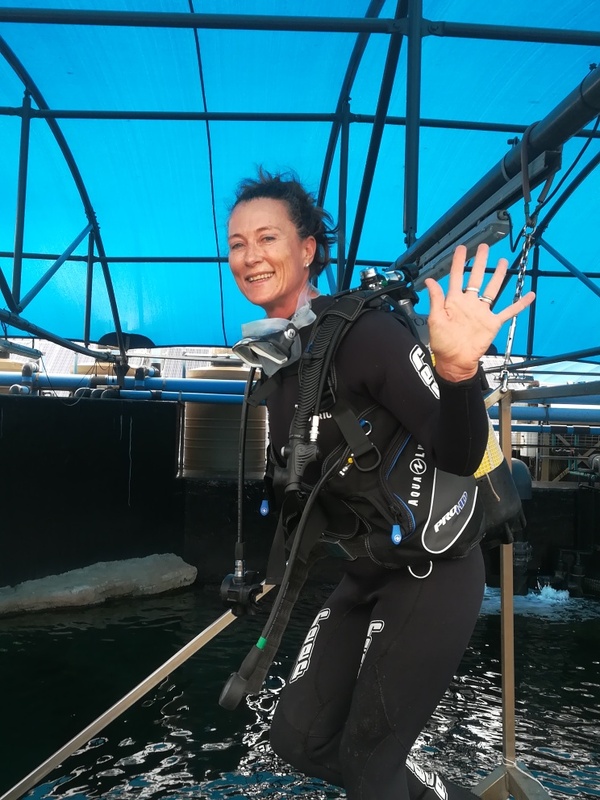 Lisa is a self-confessed adrenalin-junkie and has completed 3 marathons, 2 ultra-marathons, 4 Double Century MTB races and is a PADI Master Scuba Diver Instructor.